Nearly halfway through the second semester of the year, many students are in a state of unrelenting restlessness. We spend weeks in libraries and coffee shops, cramming for midterm exams or rushing to perfect a midterm paper. Fortunately, New York City has countless events happening throughout the next few months that will take anyone’s mind off of the stresses and worries of classes. Several of these are inexpensive or even free to attend, a boon to college students. Those interested in art shows should be sure to attend the Clio Art Fair, from March 3-6 in Midtown. This fair has become known as the “anti fair” for independent artists. It gathers artists with no affiliation to New York City art galleries and lets them create pieces of artwork through a variety of media. This event is free to attend, though you could buy an original piece to support an artist. Another festival is the Brooklyn Coffee and Tea Festival, held on the weekend of March 20th. Though this event is not free, it is inexpensive at twenty-five dollars for general admission. If that is more than you wish to spend, though, there is a “rush hour” ticket that is ten dollars. Both of these tickets give you access to a variety of tea and coffee tastings. 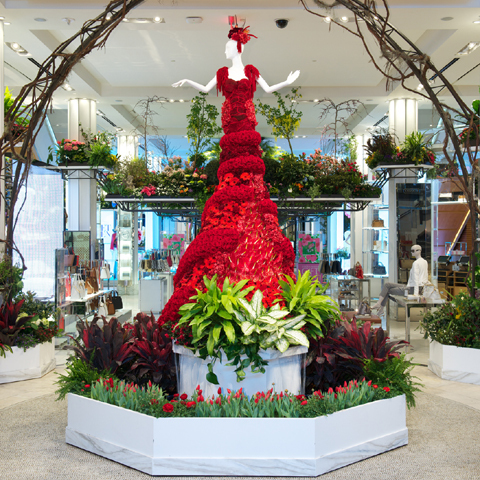 Also on March 20th is the Macy’s Flower Show: an annual festival of flowers and plants in Herald Square. Free to attend, the show continues until April 3rd. This event features millions of fresh flowers and provides free tours around the Square. If you happen to be staying in New York City for Easter weekend, and you miss hunting for eggs, make sure to attend the Full Bunny Contact event in East Village. For a five dollar admission fee and seven dollars a game, you can race to collect as many eggs as you can while people in rabbit costumes — just like the Easter bunny at the mall — try to stop you. Another game is FuFu’s Wrestling Ring, where you and a friend wrestle in bunny costumes. Wabbit Warrior Joust, once again wearing rabbit costumes, is where you and a friend use foam sticks in order to knock each other off of a podium. Another wonderful, strange event is the International Pillow Fight takes place in Manhattan on April 2nd. The rules are simple: bring a pillow and hit the people around you with it. A charity event, the event is meant to raise awareness about child poverty and homelessness in New York City.